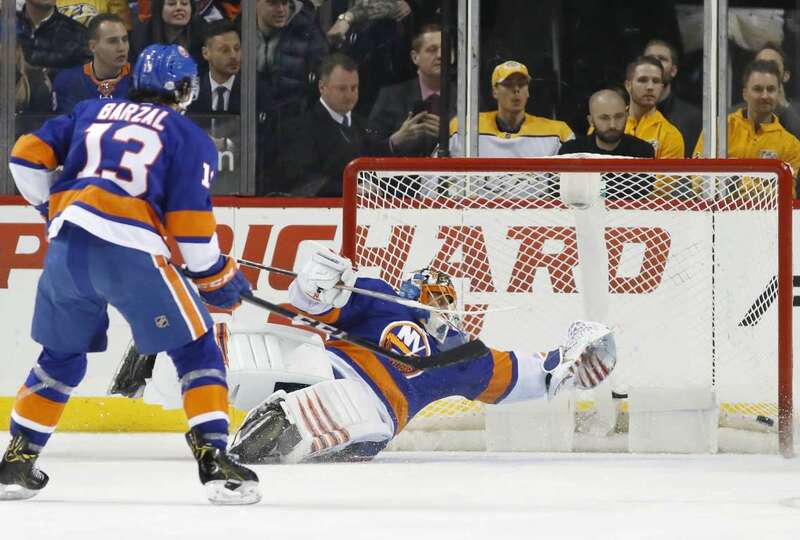 The Islanders' Mathew Barzal looks on as Jaroslav Halak reaches for but can't get to the puck on Monday in New York. The Predators won 5-4. Photos - U.S. Daily News: Little late?